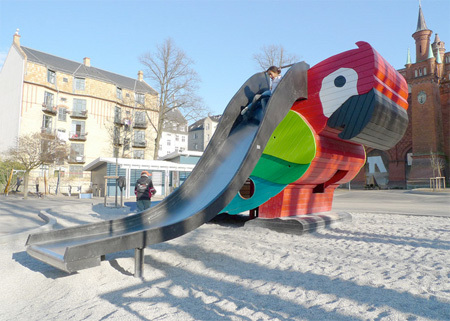 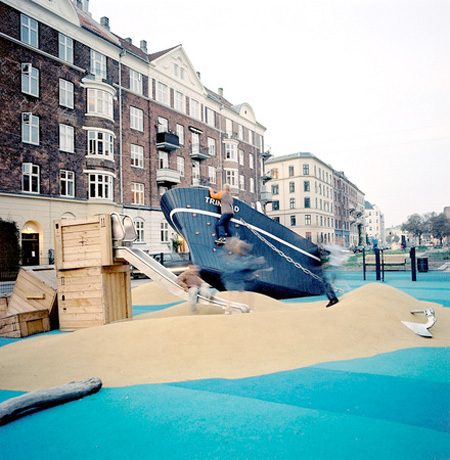 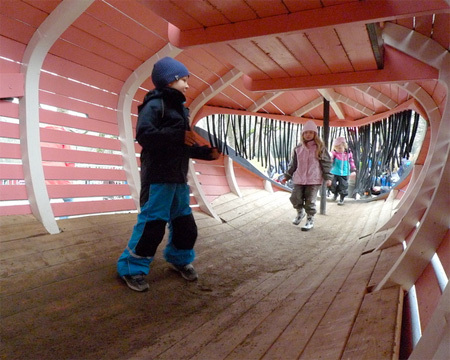 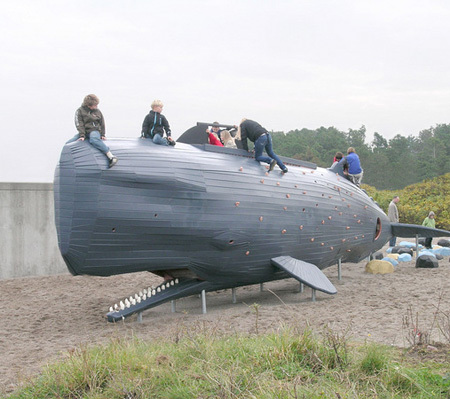 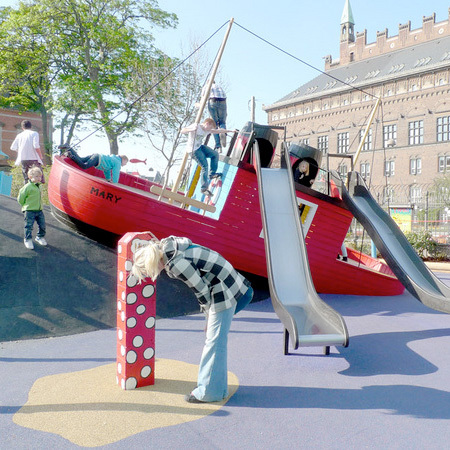 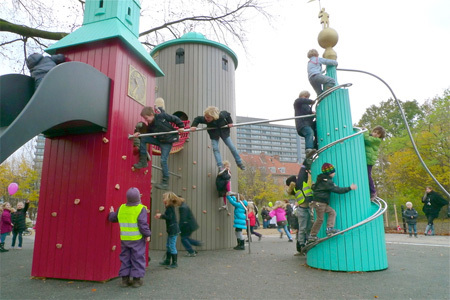 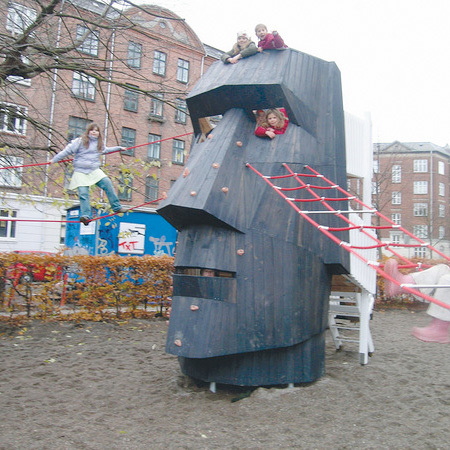 Unusual and creative playgrounds designed by Danish company Monstrum. 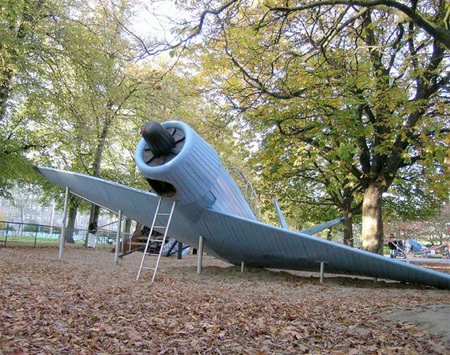 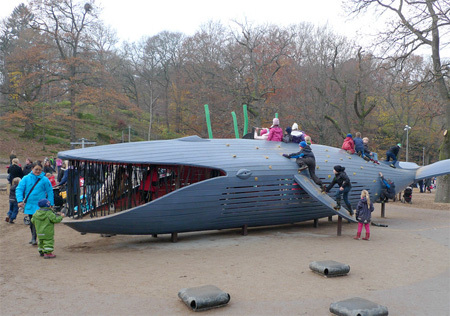 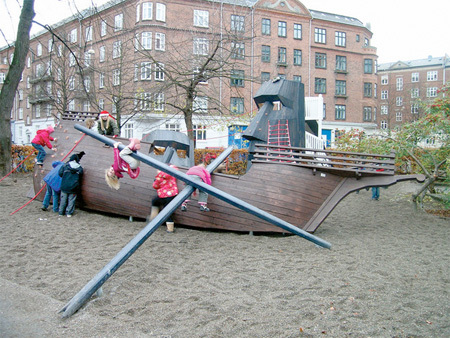 Eye-catching playground structures look like airplanes, ships, buildings, and different animals. 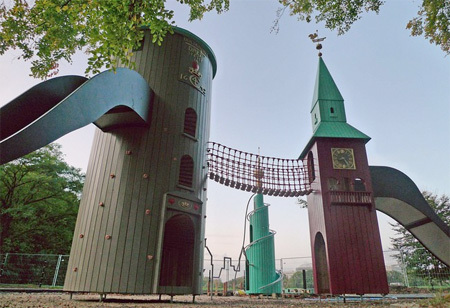 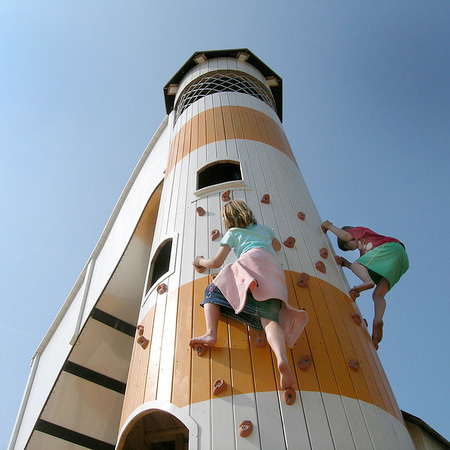 They feature climbing walls, chin-up bars, rope bridges, and fun slides that were designed for the kids of all ages. 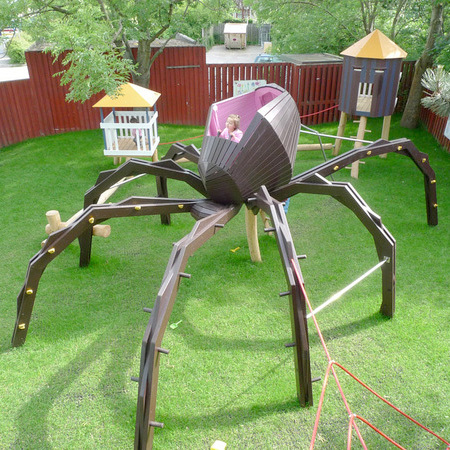 I would like to have one! 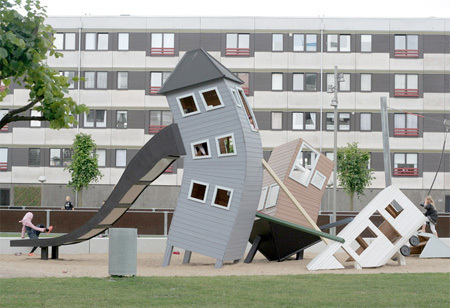 My elementry school didn’t even have a playground, just a courtyard :(. 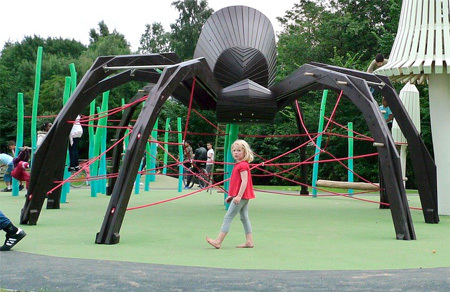 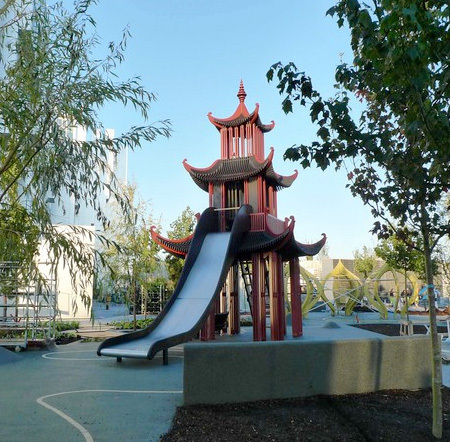 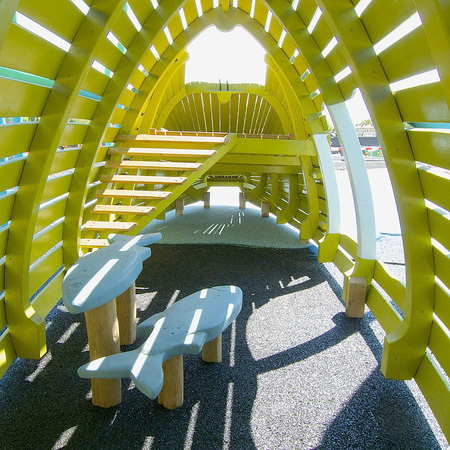 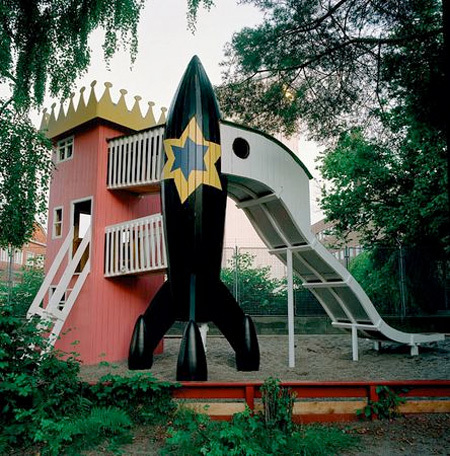 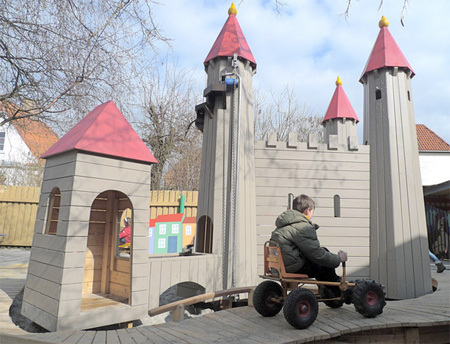 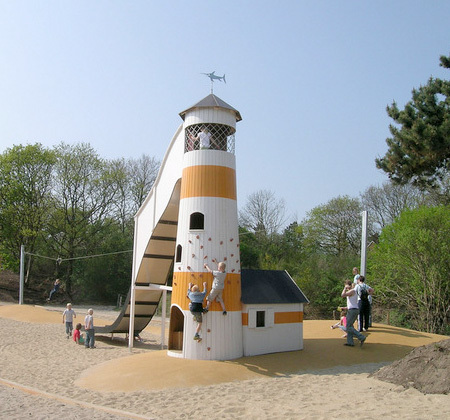 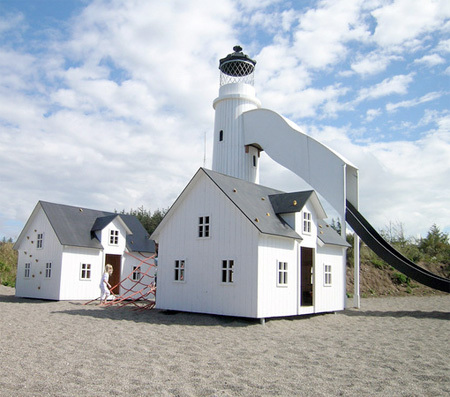 These are amazing seriously cool playgrounds!!! 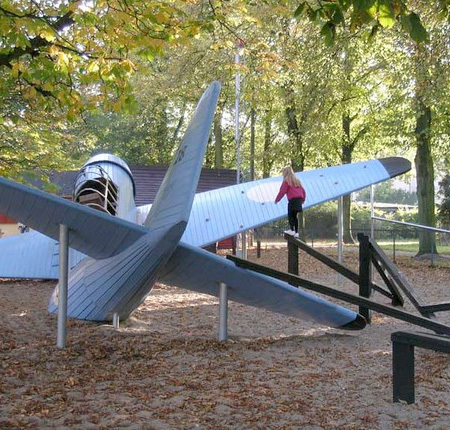 I have memories of such a parks when I was a kid even though they probably weren’t as great as these, the old imagination eh! 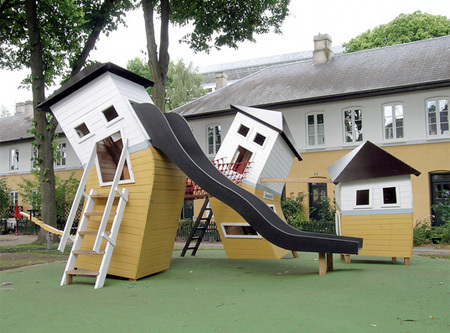 I envy the kids that get to play here. 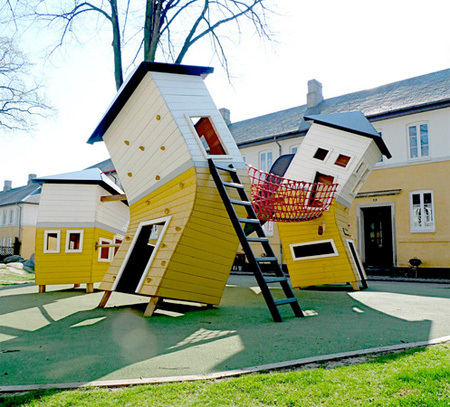 Wish we had these when I was a kid.